WASHINGTON — During the National Prayer Breakfast held in Washington on Thursday, Barack Obama spoke against violence committed in the name of religion, and stated that Christians have been just as guilty as Muslims and other terror groups of this crime. But Obama stated that while America may look to other countries and religions as being shameful for committing violence in the name of their religion, he suggested that Christians had an oppressive and violent history themselves. 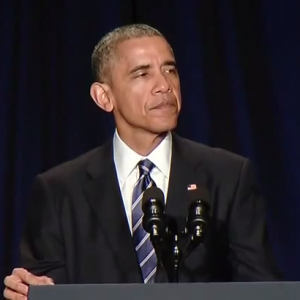 Obama opined that no singular religion should think that they have the truth and others don’t. “I believe that the starting point of faith is some doubt, not being so full of yourself and so confident that you are right and that God speaks only to us, and doesn’t speak to others, that God only cares about us and doesn’t care about others, that somehow we alone are in possession of the truth,” he said. Obama later quoted from various religious texts in an effort to demonstrate that all religions advocate for peace, and also praised the Dalai Lama, who was present at the event, as well as the Roman Catholic Pontiff Francis. But some expressed concern over the president’s remarks, especially his comments about Christianity.